Good show sir! I was expecting Run DMC hard times though, lol. 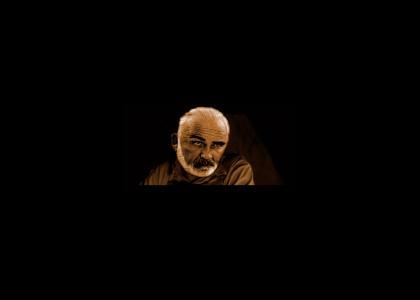 Bad pic of Sean Connery, but nice edits.. we need to stop fad compilations though. Amazing quality. Great edits. You Win. 5'd for an awesome movie. thats a work of art man....yeay sepia animated shadows! Rate went down kinda fast. Guess the downvoters are getting home from school. Awesome image work, great song. Thought this was gonna be that Giordi on the mandolin gif we always see, nice suprise. Nice work. Also, hate to tell you this, but I think you used the Connery look-alike pic. Same with Cruise in your previous site, a look-alike. Wow, missed this one. Awesome job, the animation effects earn the 5 alone. Man, this deserves better then the doldrums of the search engine. 5 for O Brother, that movie was awesome. I particularly liked the phsycotic cow shooter. that is one of my favorite songs. you could have no image and i'd still give you a five..
edit Sean Connery and mail me for the 5. Absolutely awesome. What else is there to say? First of all, this site is great. Like, really great. However (and as hard as I know it'd be to change it), I just think that Conan's facial expression borders on ruining it. He's too happy when picard and connery are very much in the mood. Automatic 5 for O' Brother Where Art Thou. Although Connery's eyes really creep me out. Good song, damn ood animation. Works well. Guess I forgot to comment on this..but, this is my favorite YTMND of all time. Also, I went and downloaded the entire O Brother Where Art Thou? soundtrack..thanks for reminding me dude. Dude why is this rated so low? dude fived, lets save the creative ones people! Geordi actually looks unflawed, like it was filmed that way. Good editing FTW. perfection. awesome image, awesome sound. yeah, this song is really great. Nice look on Picard. Superb...this is some of the best quality I have seen in a while. Too bad I missed it the first time around. I am a merry man. I love that song...and that movie.